In this MarTech Interview, we speak to Jay Baer. A New York Times best-selling author of six books, Jay is an inductee in the Professional Speaking and Word-of-Mouth Marketing Halls of Fame. Jay's newest book Talk Triggers, with co-author Daniel Lemin, is the complete guide to creating customers with word of mouth. Talk Triggers — Every human on earth relies on word of mouth to make buying decisions. Yet even today, fewer than 1% of companies have an actual strategy for generating these crucial customer conversations. Talk Triggers provides that strategy in a compelling, relevant, timely book that can be put into practice immediately, by any business. Order the Book: Talk Triggers — Combining compelling stories, inspirational examples, and practical how-to, Talk Triggers is the first indispensable book about word of mouth. It's a book that will create conversation about the power of conversation. 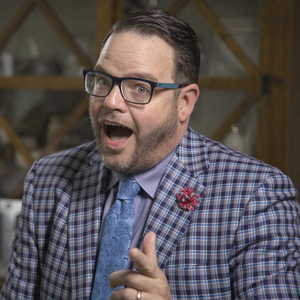 Jay Baer — Jay is an in-demand emcee for complex, multi-day events, and has hosted events for IBM, Oracle and many other major brands for audiences as large as 15,000 attendees. Convince and Convert — The Convince and Convert team of experienced strategists work with the world’s most interesting brands to double their digital marketing and customer service success. Social Pros — Social Pros is one of the most popular marketing podcasts in the world, and was recently named the best podcast at the Content Marketing Awards. Listen for real insight on the real people doing real work in social media.